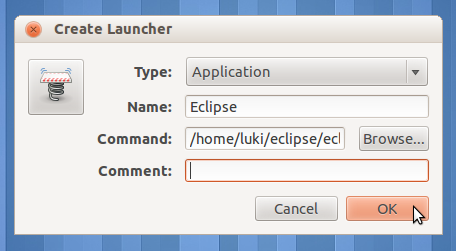 It's different with Windows, we should install additional tools to create desktop shortcut in Ubuntu. First, you must install the tools by this command. Then, run the tools to create desktop shortcut. After that, a pop up window will show up. You should fill information about the shortcut.